Often those who have suffered the tragic loss of stillbirth remain silent regarding their painful experiences. The silence behind stillbirth only continues to strengthen society's taboo perspective about pregnancy and infant loss. As quoted in the Lancet Series on Stillbirth (2011), “Stillbirth is one of the last taboos- the death of a baby before birth somehow considered not to count." 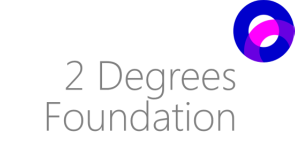 The 2 Degrees Foundation is devoted to breaking the silence and removing the stigma that surrounds stillbirth. This video features two stillbirth mothers who need their voices to be heard. Please help us get their stories out to the public by sharing this video. Everyone has a role to play and by sharing this video you are doing your part.